My normal blog posts are mainly How To’s and Tutorials. 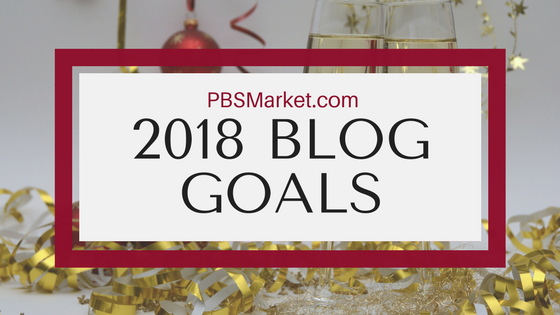 I thought I would take a moment and write down my 2018 goals and for the PBS Market blog. It’s often recommended that you write down your goals so you have a record of what you are trying to achieve. So what’s more “written down” than an entire blog post? At the end of 2018, I’ll do a follow-up post to see how well I did in achieving my goals. The first on my list of 2018 Goals is to write and post at least 4 blog posts per month. This sounds like an easy goal, but as most bloggers know getting out good and consistent content is harder then it sounds. Most of the time it is not lack of content ideas that hold me back. I have a full-time job that I enjoy however it can get very demanding. I also have a household of 7 people. Luckily my boyfriend is the ultimate “Mr. Mom” which allows me to be the workaholic that I am. But even with all of his hard work, there is time that I need to contribute to my daughter, my boyfriend and the rest of our family. In 2018, I plan to do more schedule planning. Nothing beats the lack of time more than planning and scheduling your tasks. So in 2018 look forward to seeing 4 blog posts every month! As you can see my number of friends and followers look pretty good. 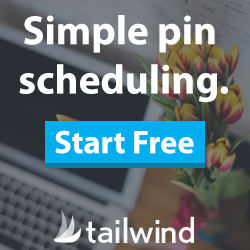 I started marketing on Pinterest mid-2017 and my follower numbers are growing steadily. I created my snap chat account in 2017 as well but I don’t really use it to market. In 2018, I will put more effort into having a presence on Snap Chat. However, Snap Chat will be used to give my followers a more personal look at my life. It will be silly and unpolished. So if you really want to get to know me and my family follow me on snap chat. Although I have lots of friends and followers I would like to get more activity on all of my social media accounts. By activity, I mean more likes, comments, and basic communication with my friends and followers. It’s nice to have followers but it’s more important to interact with those followers and have them interact with you in return. 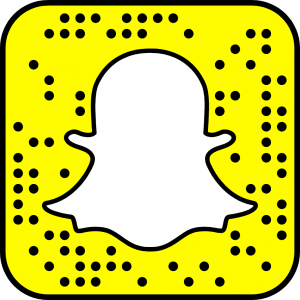 Note: To add me to Snap Chat, scan my snapcode above with your snap chat app and it will add me instantly. Third on my list of 2018 goals is to create two products that I can sell on the PBS Market Blog. I have 2 products that I have been planning to create for months and in 2018 those products will become a reality. The first product will be an ebook. I don’t want to give away the topic but it will be beginner friendly and very easy to follow. I’ve noticed a need to get back to the basics. 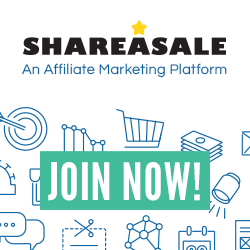 There are tons of people out there that want to do business online, however, they just don’t understand how to get started. Don’t get me wrong, there are tons of tutorials out there. However, the writers assume the readers have a certain level of knowledge and some reader just do not. My second product will be a video training course. You can think of it as an upgrade to the ebook. Some people are visual learners. Watching a person perform a task step by step on video will make it easier and more enjoyable to learn. My goal is to keep tons of people from pulling their hair out with it comes to starting an online business and making some money online. Now, you don’t want to miss the launch of these products in 2018. No worries! I got you covered. Use the form below to join my email list and you will always be among the first to know what’s going on at PBS Market. 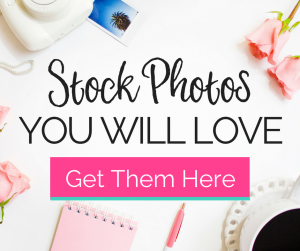 If you currently have a blog and you don’t have an email list. Check out my blog post the teaches how to create an email list. Number 4 on my list of 2018 goals is to implement a free email video training series for email list subscribers. This goal is already in the works. I have all of the course content planned. Now I need to take the time to record the videos. Is it just me or do you find video content very time consuming to make? I’m somewhat of a perfectionist when it comes to videos so maybe I’m trying to hard. Either way, there will be videos in 2018! I’m am grateful for each an every subscriber to my email list. 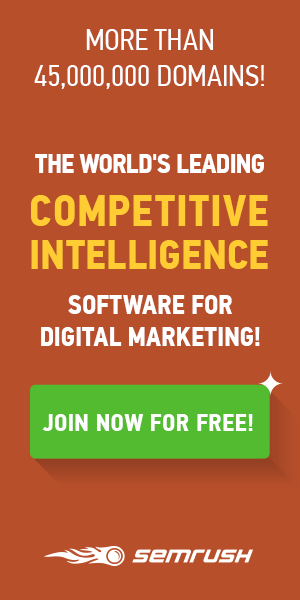 In 2018, I want to provide a valuable gift of free training to all of my blog subscribers. UPDATE 3/4/2018: The first version of my free video training has been released! 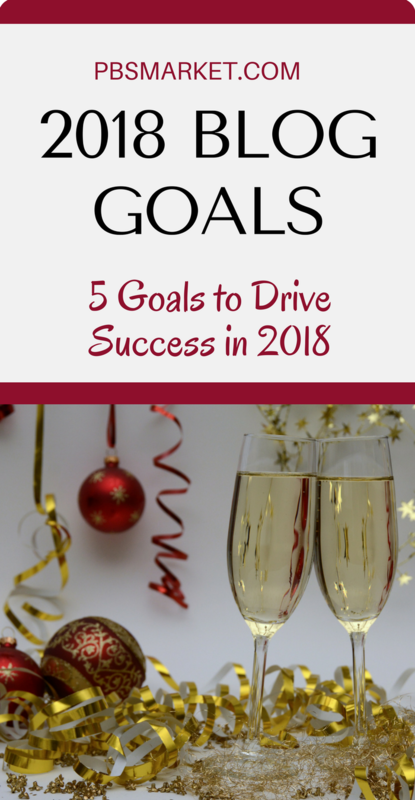 Last by not least, number 5 on my list of 2018 goals is to write more personal blog posts. I’m not cutting out the tips, tutorials, and How To’s but I want my readers to also get to know me. I’ve been studying a few YouTubers and I’ve learned that they not only show you their specialty content, they let you get to know them as people. I believe letting my readers into my life will build a stronger bond and in turn increase engagement. 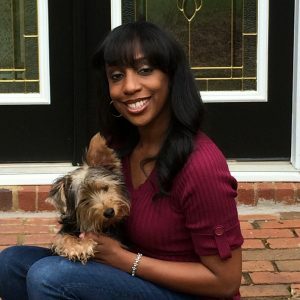 In 2018, I plan to include blog posts that tell you about my personal journey with blogging, and internet marketing, and running a small business. I want you to see my successes as well as my epic failures. Many people quit after they fail or when they don’t see instant success. I think everyone needs to see that we all have obstacles, we all fail, and we all can succeed. If you have been thinking about starting your own blog, there is no better time then right now. Check out my blog post that provides a step by step tutorial on how to start your own blog. It’s not as hard and you might think. Happy 2018 – Let’s Get Started! Well, there you have it. My five 2018 goals and objectives. I’m looking forward to an awesome year of meeting my goals, learning new things, and meeting new people. Let’s start the year off right. Drop a comment and tell me your 2018 goals. I’d love to hear what you want to accomplish in the New Year. It sounds like you will have a busy 2018 indeed! Thanks for inspiring me to sit down and write out some of my personal goals. It’s always helpful when I can see them written out. Happy New Year! Thanks Nicole! 2018 will be busy indeed. I’m hoping putting my goals out there will motivate me to stay on track. Happy New Year!!!! Great goals! I am also working on growing engagement on some social media platforms. Wishing you a great 2018! Thanks Erika! Getting good engagement on social media can be tough. But I think it’s all about having target followers. Happy New Year!!!! Thanks for sharing your goals for 2018. I have nearly finished my course so once I have done that I am definitely going to be focusing on been more consistent with my blog and like you post 4 times a month. I also want to start a YouTube channel in 2018. I know that we can achieve our goals as long as we focus! You’re welcome Laura. Good luck on completing your course. Get that YouTube channel started. Let me know how to find you and I’ll subscribe. Happy New Year!!!! Thanks for sharing this post. I have learnt a few things which are vital. Working more on personal post and work on a product. I will look into this. O want to improve on my social media engagement too. You’re welcome Rawlings. I’m glad I was able to give you a few ideas. Happy New Year!!! !